It’s a common thought to say that everything changes. However, it’s the way things change that is often off-putting. Quite frankly, some people never recover from some changes they experience in church and end up leaving because of it. Here are three thoughts on how we can do better at introducing changes and helping people acclimate to a new atmosphere and culture. If we were honest about it, most of don’t like abrupt change at all. Simply allowing people to know what to expect and when to expect it, can bring about a “win” for the change. People may understand that changes are coming but they need to understand the change. Ambiguity and disorder are not considered change but chaos and no one wants to hang around in that kind of culture. To keep people through massive changes, be clear and defined. People are going to have questions about any changes they feel affects them. They will want to know why it’s necessary and what are the benefits. Being available to meet with the people who have questions will help usher in changes and give you the opportunity to turn possible “fren-emies” into champions of the change. Fight against being too “busy” to address people personally. Your availability will help the change to avail. Get others involved in the changes. Seek for synergy and community. Don’t look at having more people as “more potential problems”. Instead look at them as “more power for change”. If the team/congregation has the buy-in, then your job as the leader is to make sure there is a tie-in. Knowing people’s skill sets and talents through being available allows you to be invitational and get people doing the right things at the right time to bring about the desired changes. We can all be change agents in our congregations but we have to handle change with care. 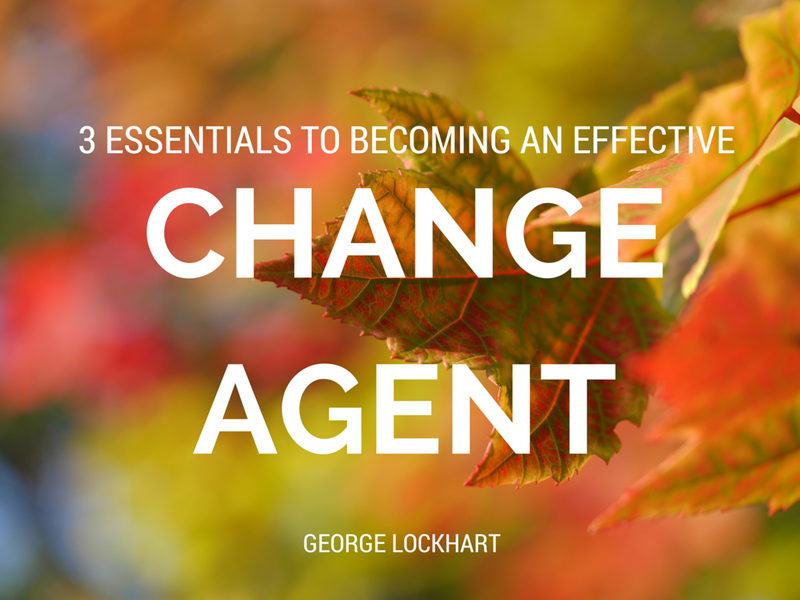 What are your suggestions for becoming a more effective change agent? This entry was posted in Articles, leaders, leadership, youth pastors and tagged change, culture, problems. Bookmark the permalink.